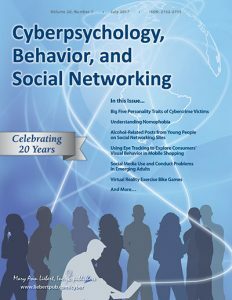 Congratulations to my co-authors (May Lwin, Andrew Yee, & Edmund Lee) for publishing our paper “Understanding Factors Associated with Singaporean Adolescents’ Intention to Adopt Privacy Protection Behavior Using an Extended Theory of Planned Behavior” at Cyberpsychology, Behavior, & Social Networking! 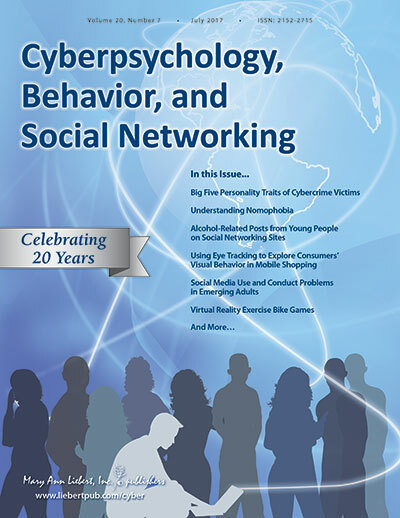 Using an extended theory of planned behavior (TPB), this study explores how the original TPB variables (attitude, subjective norms, and perceived behavioral control), personality traits, privacy concern, past privacy protection behaviors, as well as parental mediation strategies relate to adolescents’ intention to engage in privacy protection measures. We administered a cross-sectional survey to a nationally representative sample of adolescents (N = 4,920) in Singapore. The sample comprised 50.5% females and 49.5% males with age ranging from 13 to 21 years (M = 14.73). Results from the hierarchical regression analysis showed that the proposed extended TPB model received partial support. Subjective norms, among the TPB and other factors, have the strongest relationship with adolescents’ intention to engage in privacy protection behaviors on social network sites. Adolescents’ privacy concern and their past privacy protection behaviors are more important in influencing their future privacy protection behavior as compared to personality traits such as neuroticism and extraversion. Adolescents whose parents have engaged in regulated parental mediation are more likely to protect their privacy on SNSs as compared to adolescents whose parents have adopted active mediation style. New article with Agnes Chuah on Climate Change Comm in SG! Congrats to my URECA student Lim Cui Min!